Paul Herrmann (PH): What do you think are the key ideas about Fotografiska that encouraged people to support it – Fotografiska’s best or most inventive qualities? Pauline Benthede (PB): Our best quality is that we aim to be a venue for all people – photography enthusiasts, amateurs, art lovers, and everyone in between. ”Photography is the technology to capture life. We provide and support life worth capturing.” Fotografiska is a meeting place for all kind of photography and visual culture – fashion, documentary photography, video art, examples of how photography can raise awareness on different social and political issues, and much more. This approach has been with us from the very beginning and is part of our DNA. We work as much on making our guests feel welcome no matter who they are, as we do on our exhibitions. And I believe our guests and supporters can feel this from the moment they step inside our venue. We also have many different kinds of exhibitions running simultaneously, with different genres. So if you arrive at Fotografiska to see, for example, a big exhibition on fashion photography, you might also experience an exhibition on a young, emerging video artist. That’s a balance we always aim for, so our guests can experience something unexpected that might deepen their interest even more and open up for new thoughts. PH: What were the tipping points along the development process when you really felt there had been some progress? PB: We have been completely independent from the very beginning, and up to the grand opening in 2010, we were also a very small team. 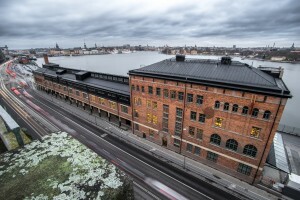 Therefore I would say there was no real tipping point, but rather a steady process from the very idea of a meeting place for photography, to where Fotografiska is today. Through this process, we have been honoured to have many supporters who have believed in Fotografiska from the beginning. With this said, we are in a constant development, always aiming towards getting better on all areas, so the progress is never ending. PH: Can you explain how the museum was, and is now, financed? PB: We are completely private, which means we have no tax money income or other governmental funding to rely on. Our main revenue is the entrance fee. PH: What do you think the photography centre or museum of the future will look like? PB: I believe Fotografiska is in the frontline of a new kind of art experience, where it is not only about the exhibitions, but also about the atmosphere, the food, and being a meeting place. The exhibitions are our core activity, but many of the comments we receive from our guests also include the restaurant, the museum shop, and even how great our bathrooms are. An exhibition on a great photographer can certainly be fantastic, but if the access was bad, the information you received wasn’t great, or the meal you had afterwards left you disappointed, that will certainly lower your overall experience. PH: Have you got any thoughts on how the growing number of archives and collections in photography might best be managed? Do you have your own collections? PB: We have our own collection. 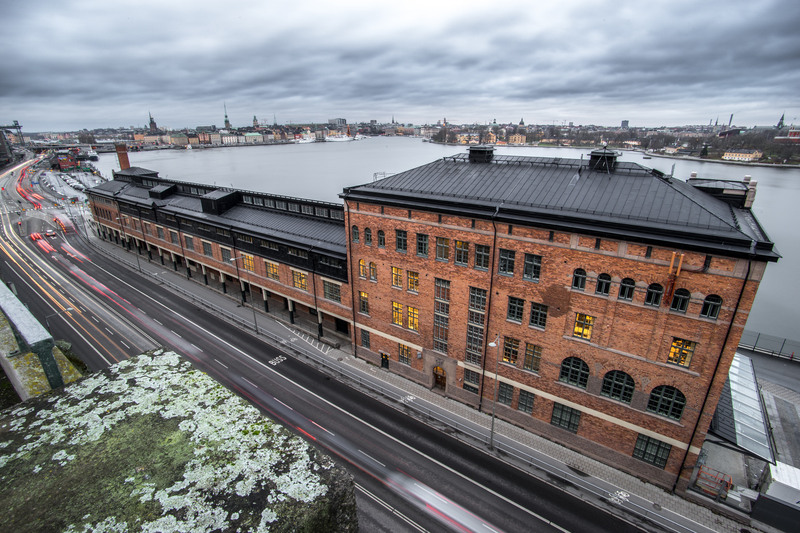 It is partly based on donations from artists we have worked with, but also art works that Fotografiska has bought for the collection. Having been open for nearly six years only, the collection is of course still smaller than others, but increasingly growing. PH: How are state photographic collections managed in Sweden? PB: There are huge collections at the government organisations with national responsibility for collecting and preserving photography, however it is not too often that these collections are made available to the public. PH: How can we balance decreasing funding with growing collections and archives? How can we increase the public interest in collections? PB: Being completely independent, our collection is not depending on external funding. We believe that the interest in photography in general, not only collections but also in exhibitions, is to speak to a larger audience. Photography is a worldwide used medium, an everyday tool for people to interact, share, and save moments. It’s closer than any other art form, and part of our daily lives. Therefore, in order to bring awareness on what photography is and can be, the history of the medium and its future, we need to speak to everyone. Not only to the academic or the professional, but to everyone who is part of our society and visual culture. This entry was posted in General posts on April 19, 2016 by Paul Herrmann. A guest post by Camilla Brown, a speakers at this year’s Symposium. This image is taken from a series titled Careful by a recent MA Photography graduate from Middlesex University, where I work. I first came across C Y Frankel’s work at BA level when he was working on his series My Brent Cross made around the 1970s shopping centre in North West London. When he was studying, the university photography department had recently relocated to the Grove Building in Hendon. Frankel was living at home locally whilst studying. This more recent work, Careful, broadens out from earlier themes but still has its roots both metaphorically and geographically in the same area of London. As it happened I started working at Middlesex University at about the point they relocated to Hendon in part as the photography department moved quite literally to the end of my street. Working freelance as a mother of young children my work was becoming increasingly local in nature. Frankel’s work therefore had a very particular resonance for me as he captured and played back to me the area I knew so well. It is an odd area and an odd image, a suburban area not deprived yet equally not regenerating at the pace of so many other parts of London. There is the continual ebb and flow of new communities to the place and yet it is also home to a distinct and entrenched demographic who have for generations called it their own. This image is a particularly quiet work and captures a typical home. It has been caught at a moment where a mist hangs eerily around the house. It is a place that is at once ubiquitous and yet also unique and for residents it is instantly recognisable in Frankel’s work. It is so local that I was keen in conversations with Frankel to see how he could widen out its appeal. How could something so specific become more universal? 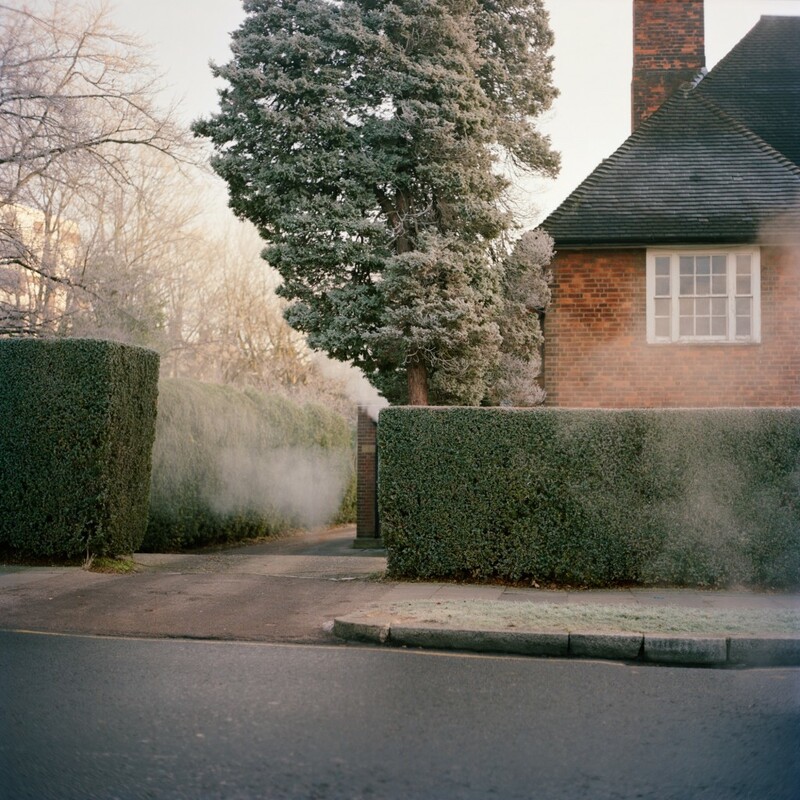 Of course countless personal photography projects make this leap: Larry Sultan’s Pictures from home; Richard Billingham’s Rays a laugh to name but two. But at a nascent stage it can be hard to work out which students can do it. In part my role at Middlesex is to help with the students’ professional development, which leads me to often repeat that making the work is only the tip of the iceberg. Often the real graft is getting the work out there and showing it to people. There are many ways to try to do this which require a big expense, or one could suggest investment, of time and money. But of course that is where living in the Web 2.0 age offers us all new horizons and possibilities – the virtual network. Frankel submitted this series to a Lensculture Emerging Talent 2015, at which point I was not involved in any way with their work. Through his work’s merit he was one of the award winners for that category which gave the work some online exposure and meant it was also exhibited. For him the best outcome was the online portfolio feedback session with an internationally connected photography specialist. Dialogue and feedback on projects and work is often the thing most photographers want. Submitting work to a black void with no response leaves them with so many unanswered questions. Virtual platforms seem a new way to offer that global perspective, and Lensculture is a website keen to nurture and develop an online community for photographers. The Lensculture platform has not transformed life for Frankel still working to find his way as a photographer but it has answered one specific question – could the local work he made have a global reach and appeal? could he embrace the glocal? Resoundingly so, and for me that is the curatorial question that can only be answered by having your work seen in amongst your international peers’. As a curator it is partly by looking at a lot of work that you can assess where someone’s practice sits. Some fly others flounder. Frankel flew on this platform with a sincere, questioning and quiet documentary series. As is often the case – it is not the work that shouts the loudest that has the greatest impact but the understated and the considered, perhaps the work that is ultimately more Careful. Camilla Brown trained as an art historian completing her BA at Leeds University she then studied for her MA at the Courtauld Institute of Art. She is a curator, writer and lecturer on contemporary art, specialising in photography. For ten years she was Senior curator at The Photographers’ Gallery, London previous to which she was Exhibitions Curator at Tate Liverpool. She is on the Board of Directors at Quad. Since 2012 she has held an academic post as Senior Lecturer in Creative Industries at Middlesex University, and in 2015 was appointed Visiting Fellow in Photography at the University of Derby. She regularly gives talks at universities, museums and galleries. She writes for artists’ monographs and history of photography books, and is also writes submission reviews for Lensculture. In 2016 she will publish a chapter titled ‘A curators perspective’ for a forthcoming book Photography and research: the idea, the process and the project, a Practical Guide for Photographers to be published by Focal Press. Examples of her work appear on her website. Click here for further information on C Y Frankel. Camilla will be speaking at this year’s symposium about her own work over the past 8 months with Lensculture. She will explore what such online platforms offer photographers and curators and what the challenges are of presenting work in this context. Find out more and book your place on the Format website. Now in its seventh edition, NPS 2016 is organised this year in partnership with FORMAT International Photography Festival off year and QUAD. It explores three main themes: new online photographic communities that are revolutionising learning and showing of work; the challenges of making – and forgetting – visual history in an age when everything is recorded. And it also explores the recently announced transfer of the National Photography Collection from the National Media Museum in Bradford to London’s V&A Museum. 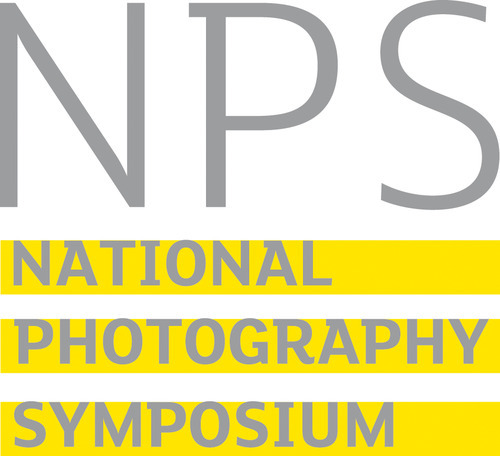 To book your ticket for the National Photography Symposium (20th – 22nd April) please click HERE. 18:30 to 19:30: Opening Keynote Address by Hester Keijser: On clouds, islands and diversity in the digital biosphere – a call for climate change in online photographic communities. The two main themes of the symposium explore issues raised by the networked technologies that many photographers find themselves using on a daily basis. The talks and panel discussions will elaborate how we take part in and shape the digital culture that has evolved. The keynote by Hester Keijser will address risks and challenges facing us as we inhabit this digital biosphere. To what extent are we in control of our online presence and participation? What qualities need to be negotiated for peer to peer communities to thrive? How is the perceived need for narrative photography related to the rise of social media? 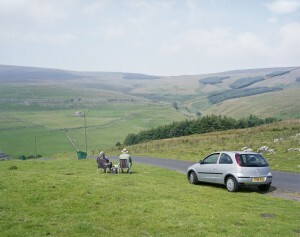 Hester is an independent curator and author specialising in contemporary photography. Currently she is advisor for the Mondriaan Foundation and is engaged as associate curator of the Noorderlicht Foundation in the Netherlands. Based in The Hague, she blogs as Mrs Deane, a name borrowed from a spiritualist medium. Exploring the intersection between photography and digital culture, the photographic communities that are springing up, and the tools for learning and developing as a photographer that are emerging in consequence. How flexible and dynamic are online communities; does this also mean they are less permanent and does that matter? How effective are the new learning and development approaches that they foster? What is the role of traditional institutions and associations – how are they responding to changes and developments? Camilla will consider her work over the past 8 months with LensCulture (www.lensculture.com). She will explore and discuss what such online platforms offer photographers and curators and what the challenges are of presenting work in this context. What are the pros and cons of this new virtual frontier and how might we creatively respond in our glocal age? Jonathan will introduce the pioneering work of his Disruptive Media Learning Lab which acts as an agent of change for new models for education, teaching and research, and other innovations in pedagogy, in the fields of photography and culture. In her work Karen explores new ways to reach out, to share, and to show talent to a hugely diverse and varied audience, without being confined by timescales, costs, or situation/location. Scarlett Crawford – independent practitioner and educator. Scarlett will give an introduction to herself and her practice as an independent practitioner and educator. She will discuss whether the priorities for learning and development in photography have changed in the context of social and technological change in the last decade. She will discuss what she thinks we need to do to ensure that the widest range of people can access and benefit from learning opportunities including increasing representation, integration and cross cultural exchange, and an overall change of the industrial education system. Tim Gander, commercial photographer and a moderator for the EPUK (Editorial Photographers UK) email forum, will outline EPUK’s origins and purpose, highlighting its campaigning efforts and its evolution in a changing media world. He will also describe the benefits and challenges of running an email discussion group from the perspective of the moderator team, as well as the pros and cons of this model from its users’ point of view. Many photographers set out to record or document for posterity and history. In the past this has involved multiple selection and editing processes, with ultimately relatively few images stored long term. But now that no image need be deleted and almost everything is stored, how will our era be remembered visually – will it have a “defining” narrative, and if so what part do individuals have in shaping that narrative? There is an ethical dimension to this; does the perceived need for narrative affect the truth or fact of what is being remembered? Has “forgetting” become a conscious act of deletion, disposal or even hiding? We invite you to explore with a range of photographers and historians what it now means to photograph for history. Here today… Over the last 10 years Joy’s interest has been captured by disappearances of intangible histories. She has used a range of photographic materialities to be record their existence. This seems ironic when one considers the fragility of the digital image, which is constantly threatened by the instability of our many storage devices (including the Internet) and the continuing advance of technology. Joy will be taking the issues at the centre of her more recent projects as a prism through which to reflect on the future of the photographic image in the 21st-century. The Gearing Archive Re-imagined. 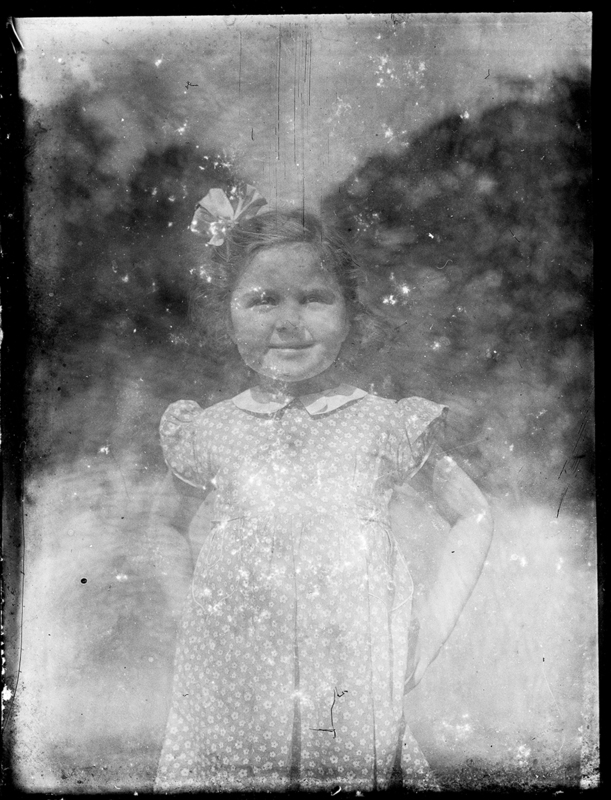 In 2013, while an artist in residence, Alan Ward bought some glass negatives on a whim from eBay. They had no provenance or documentation, though seemed to show a single extended family and its travels and activities. Over a three-year period of what he calls “forensic research and voyeuristic obsession” Alan worked out the locations shown, pieced together the story told by the images, and in doing so uncovered – re-imagined – the history of the Gearing family and the society in which they moved. Introduced and chaired by Kelley Wilder – Director, Photographic History Research Centre, De Montfort University. Friday is given over to discussing future possibilities for the UK’s national photographic collections, and the role of institutions in supporting photography into the future. We are delighted to welcome speakers from key institutions, as well as photographers and researchers, with a view to generating new ideas and potential outcomes for the photographic community. In addition Graham Harrison, Sarah Fisher and Paul Herrmann will take part. 10:00 to 11:30: The background to recent proposals and changes including: the history of the UK’s national photography museum; the decline in cultural sector funding; the location of cultural assets, and the dominance of London. We are anticipating a lot of questions and comments at Friday’s debate and suggest that you send questions in advance. Please email any questions/comments to question@redeye.org.uk. Please include your full name; questions may be published. Please get your email questions/comments to us no later than 18:00 on Thursday 21st April. We will also be handing out slips should you wish to write your question during the symposium. These can be handed in to Redeye staff or volunteers up until 9:45 on Friday morning. 11:50 to 13:00: How might we move forward from this to create a stronger photography sector? Exploring both centralized and distributed case studies internationally and from different disciplines; the future for collections; mapping resources and joined-up thinking. 14:00 to 15:30: Break outs, idea generation and discussion sessions. Alongside Friday’s Symposium sessions are the FORMAT International Portfolio Review all day at QUAD. FORMAT has carefully selected 25+ international experts in the field of photography, from around the world to be available for meetings. For the reviewer list and to book, visit the link here. More speakers being confirmed weekly. Speakers may change. This event is strongly recommended for anyone interested in photography and the future of the medium, whether photographers, curators, academics, students, writers, collectors or organisation staff. This entry was posted in General posts on March 24, 2016 by Paul Herrmann.